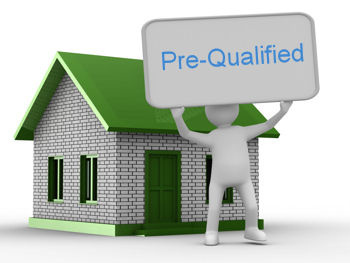 When you go and buy a home, one of the first things that you need to do is get pre-qualified. Some people have a steady job, high income, were pre-qualified a year before or just got approved for something else (like a credit card), so they feel that this step is not needed. But this is not the case! Why Should I Get Pre – Approved? Save time – It makes sense to start shopping within your budget and knowing what you can afford. Why waste time viewing homes that are not in your range? Better chance of having an offer accepted. Sometimes it can help in the negotiation process if the seller knows you are pre-qualified and will likely be able to complete a purchase on the home. Fix possible issues – Your mortgage professional can give you advice. If you need to raise your credit score, make a bit more, or work at your job a certain amount of time, then you can take action if you know what your obstacles will be. Meeting Conditions – Usually you have 1-2 weeks to satisfy conditions of a sale. What if you need to get documents, like a new Notice of Assessment, or something that takes some time to arrive? Don’t wait until you have an offer to find out what documents you will need to submit to the lender. Getting pre-qualified is important for every buyer, no matter what your situation is. Be organized and avoid disappointment.